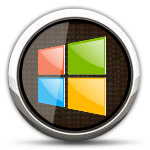 Photoundelete.org provides various kinds of data recovery software for Windows as well as for Mac OS X. Data recovery software recovers data from hard disk drive, memory card, USB removable media drive, mobile phone, android devices and other type of data storage media of any capacity. If you have lost important files and documents from multimedia storage drives like Digital Camera, USB drive, Memory card and Windows hard disk drive. Now, you can easily recovers all your lost files by using Data Recovery Software. Software helps you to get back lost or accidentally deleted data such as images, pictures, video-clips, music files, text documents and other valuable data. Digital Camera Undelete Software is capable to recover deleted or erased digital photos, pictures from all major digital camera storage media without requiring specific technical skills. Photo Undelete Software recovers accidentally deleted photographs, images from USB removable media drives (PDA, mp3 players, pen drive etc) and Windows hard disk drive. 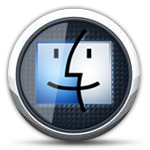 Mac Photo Undelete software recovers lost pictures, photos, snaps, birthday pics and memorable photographs from formatted or virus infected memory cards, USB drive, digital camera, etc. Software retrieves all important photos lost due to human error, system fault, software/hardware malfunctioning and due to other similar data loss conditions from USB removable storage media devices. Mac Digital Camera Undelete Software recovers all your lost photos, digital photographs, memorable pictures, video-clippings, etc from corrupted digital camera storage media. Photo Undelete Software for Mac retrieves deleted pictures, photos, snaps, etc from corrupted memory cards, damaged USB drives and formatted hard disk drives.